Kouri is a small island located in northern Okinawa. Surrounded by crystal-clear waters and connected by a 2-kilometer-long bridge to nearby Yagaji Island, Kouri has become one of the most popular scenic destinations in Okinawa. 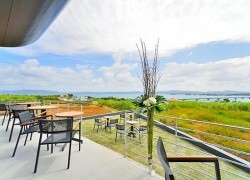 L lota is a new restaurant situated in the One Suite Hotel & Resort Kouri Island, right next to the front desk. 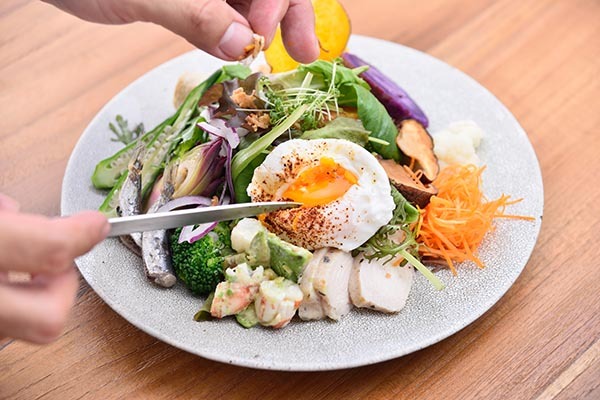 Here you can enjoy gourmet creations prepared by Chef Akasaka that used to be available only to hotel guests. 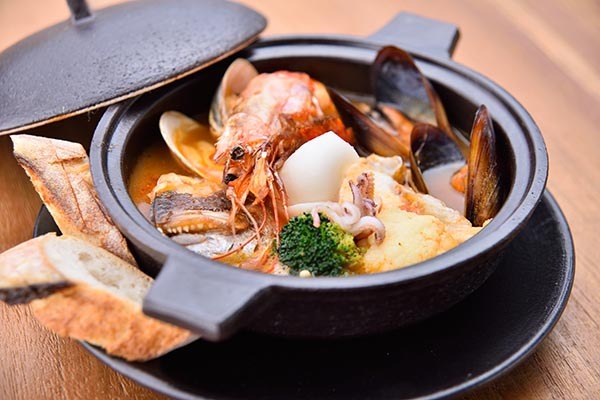 All dishes are made with fresh select ingredients from Okinawa, particularly from Kouri and the northern part of the island. 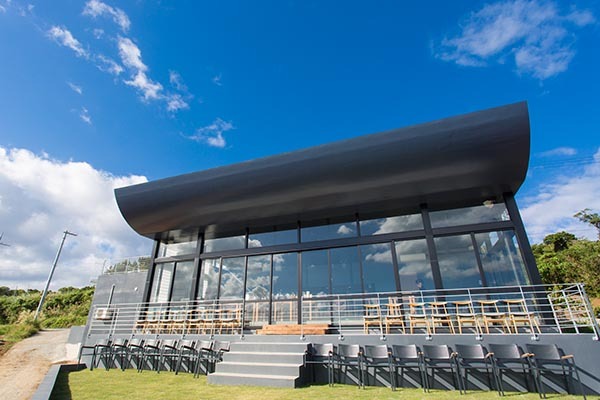 Spacious and with a contemporary interior design, the restaurant’s many windows provide a 180-degree panoramic view of the ocean and nearby landscape. L lota's great service, excellent food and view will be sure to make you want to stay longer. 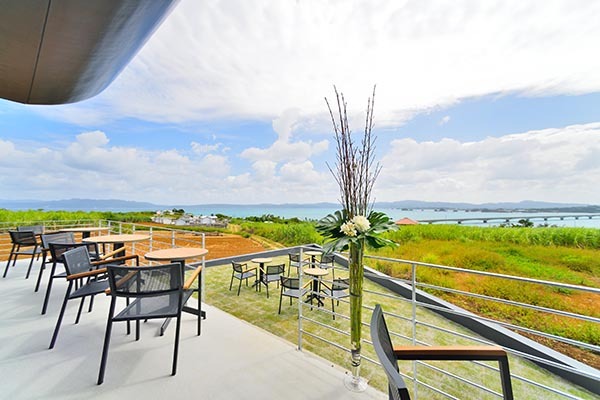 This new destination is expected to attract even more visitors to Kouri. Large picture windows allow everyone to enjoy the stunning view. The terrace seating is pleasant during the cooler months. A perfect venue for wedding receptions and other private parties and events.